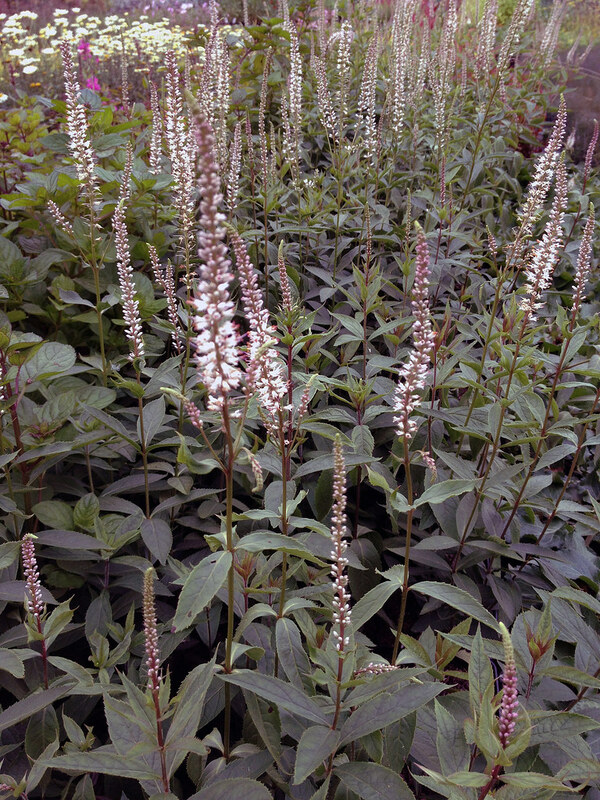 A choice clump-forming perennial with long, dense spikes of white flowers on stiffly upright stems bearing whorls of dark green leaves. Smaller, branching, lateral flower spikes also occur when in full bloom. Jul-Sep. H150cm S60cm.